The randje per week 2016 challenge weekly chart was completed on Saturday. Yesterday I forgot to check Pintangle, so that is to be done today after posting this week’s works in progress here. This tunic is back form the tailor. This project was to be done in two phases. 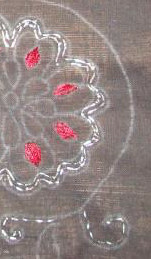 But the embroidery was not completed before sewing the tunic. This is the third phase, hoping to restart tomorrow. This project was kept aside for some time. 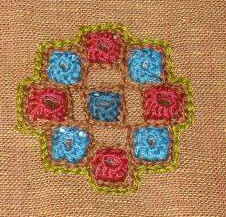 A break from shisha work was used to work on this kutchwork border, and it progressed a little. 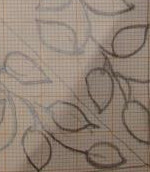 Though a simple pattern, it takes a while to work because of the intricacy produced by using 2mm graph for the design. 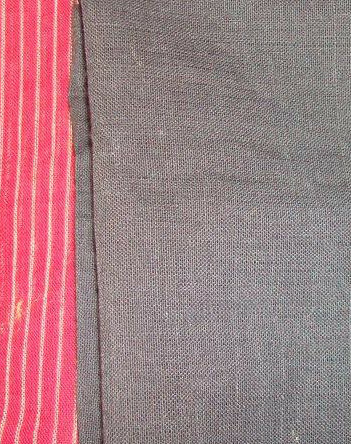 The sleeves on the orange and violet combo fabric was completed. 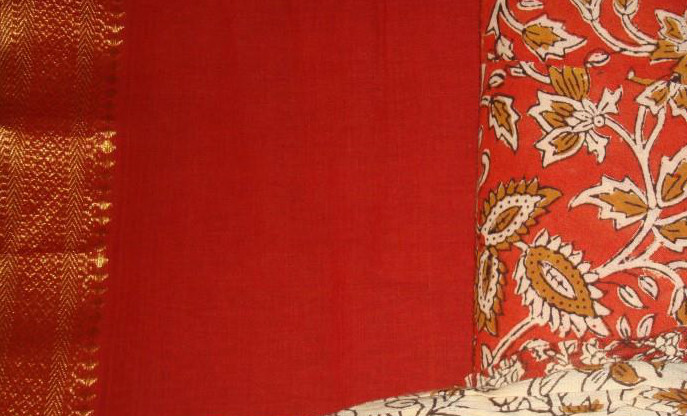 A corner pattern made of same borders was drawn, keeping in mind the design of the tunic. After working mirror after mirror after mirror, break was necessary. 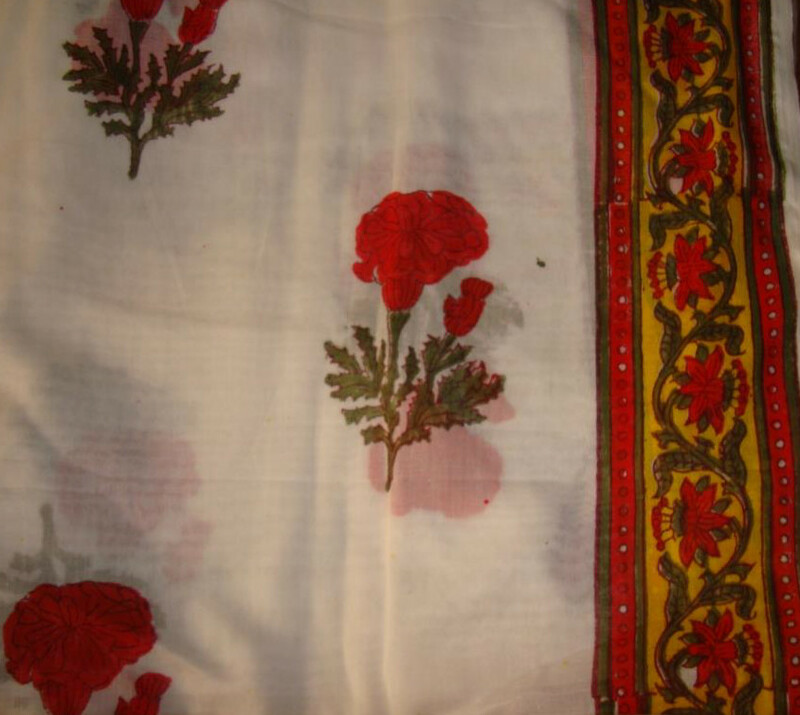 This tunic fabric along with incomplete work was given for sewing. The remaining mirrors and bead work will be done after it comes back from the tailor. 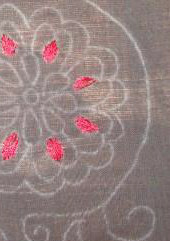 A linen in beige is waiting for an embroidery design. 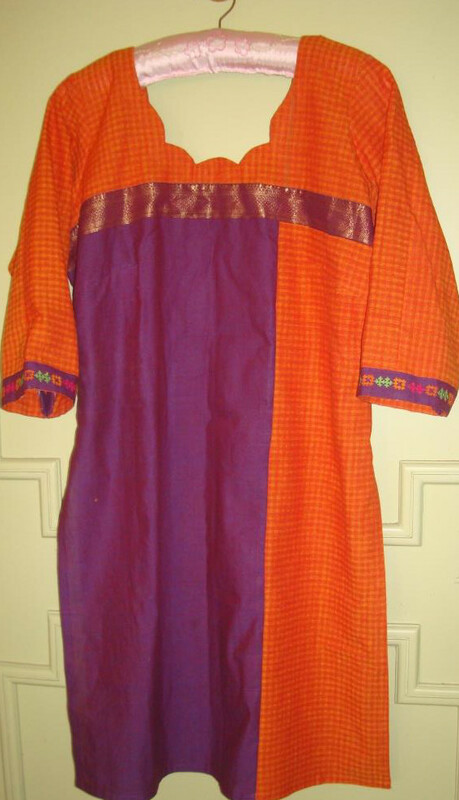 I saw a tussar tunic which had ethnic Gujarati embroidery with mirrors. A yoke filled with these type of motifs and small mirrors seems like a good idea. Will have wait and see, how the idea develops into a yoke design. The Randje per week chart was completed on Saturday. 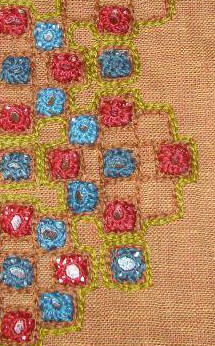 Lock stitch and double lock stitch are this week’s stitches on TAST challenge. I had worked the samples on two designs earlier. These were posted on FB TAST group page. This tunic is with the tailor now. The embroidery on both sleeves are completed. 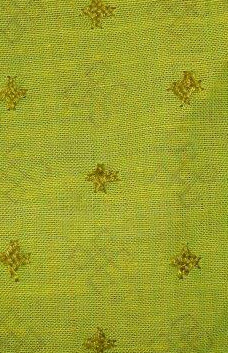 A few diamond motifs were also worked. The rest of the embroidery will be completed after it is sewn. This tunic will be worked in two phases. A small border for the sleeves was started. Just a glimpse of the WIP. I‘ll work on this tunic during this week. It might take long to complete all the mirrors. Some beads may be incorporated into this design. 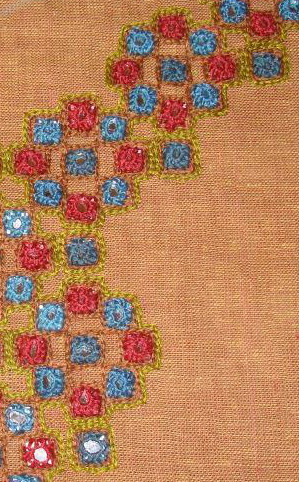 Seeing that the mirror work and bead work will be a long project, I started on the kantha work. This is plain black cloth for the embroidery on sleeves. While working realized this could also be another long project, decided to keep it in the shelf for the time being. Working on these projects, mind keeps thinking of designs for new projects. Once or twice it started as drawing on paper also. Some webpages are inspiring and addictive and I get carried away by the vast variety of designs. if the time spent on these browsing can be limited, there might be more designs forthcoming. let’s see what this week brings in.